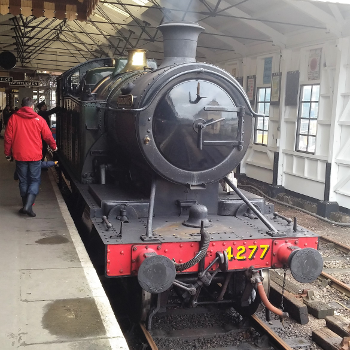 The Dartmouth Steam Railway is a heritage railway that runs from Paignton for seven miles along the former Great Western Railway beside the coast to Churston and through the wooded slopes bordering the Dart estuary to Kingswear. Approaching Kingswear is the beautiful River Dart, with views across to the town of Dartmouth on the far side and the famous Britannia Royal Naval College. As well as the journey by steam train between Paignton and Kingswear, other options include a "Round Robin" day trip which includes a circular journey, firstly by bus to Paignton, followed by a steam train to Kingswear, a ferry to Dartmouth, a river cruise to Totnes and return by bus to Torquay. 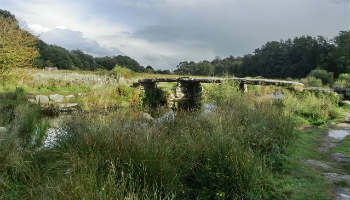 Managed by the National Trust, Greenway dates back to the 1490s. The property was famously owned by the novelist Agatha Christie who used it in various guises as the setting for three of her novels - Five Little Pigs, Dead Man's Folly and Ordeal by Innocence. 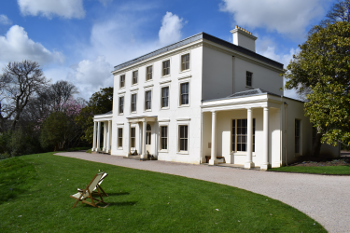 The house, on the banks of the river Dart, can be reached by boat, vintage bus or steam train - although be warned, this option involves a 30-40 minute walk from Greenway Halt. It is also possible to park at Greenway, but this must be pre-booked. Stretching 630 miles from Minehead on the north coast of Somerset to Poole Harbour in Dorset, the South West Coastal Path is the longest National Trail in the UK. The path covers the entire length of the English Riveria and features walks of varying difficulty. These include the easy, family friendly, walks around Berry Head to the more challenging ones that take in the numerous steep ascents and descents around Sharkham and Man Sands. 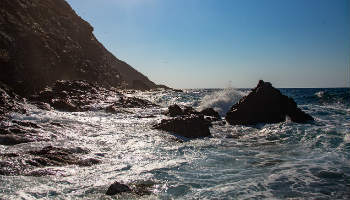 The walks take in beautiful coastal scenery and offer much to see in terms of local heritage, wildlife and geology. The Golden Hind is a full-size replica of the ship that Sir Francis Drake used to circumnavigate the world. 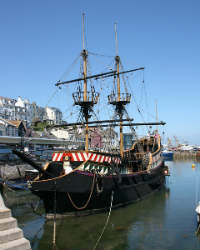 Featured in many TV programmes and films, the ship has been a feature in Brixham harbour for over fifty years. It is open in all weathers, with displays and activities above and below decks. 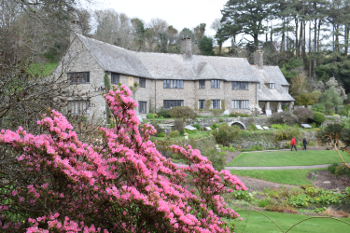 Built in the Arts and Craft style, Coleton Fishacre is the 1920s-built home of the D'Oyly Carte family. Since 1982 it has been owned by the National Trust. The 24-acre RHS accredited garden runs from the house via a combe down to the sea at Pudcombe Cove where it meets the South West Coastal Path. The house features an Art Deco interior and retains many of its original features. Dartmoor National Park offers stunning views, awe-inspiring granite tors, deep wooded valleys with fast flowing rivers, and rugged, wide open spaces. The park has 450 miles of public footpaths with routes for everything from a gentle stroll to a long hike. And when you've finished walking it also offers friend pubs and other attractions to visit. 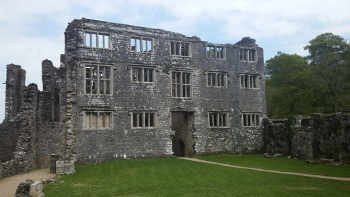 Situated in beautiful Devon scenery, Berry Pomeroy Castle is a Tudor mansion within the walls of an earlier castle near the village of Berry Pomeroy. Built in the late 15th century by the Pomeroy family it was abandoned before it was completed and is now regarded as one of Britain's most haunted buildings. One such apparition, the White Lady, is reputed to be the ghost of Margaret Pomeroy, who starved to death after being imprisoned in the dungeons by her sister. Situated along the coast from Brixham, this peaceful little cove has a small shingle beach and is protected on all sides by tall red cliffs. 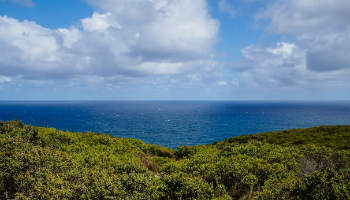 The cove is perfect for swimming, although you may have an audience as boats and yachts often moor here. 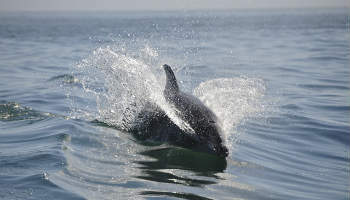 At the southern end of Torbay, Berry Head National Nature Reserve is an internationally-acclaimed heritage site. It not only contains a large variety of wildlife and history but also boasts recently-restored Napoleonic War fortifications. The Guardhouse Café offers stunning views whilst you enjoy tasty local food.